I just spent a wonderful hour with the delightful duo behind Good Day Girl, Sophie and Alexia. We chatted about our experience and insights in this burgeoning space of sustainable fashion in Australia, our shared hatred of clothing and textile waste*, and I loved hearing their firsthand experience of launching and running Good Day Girl (celebrating three years!). 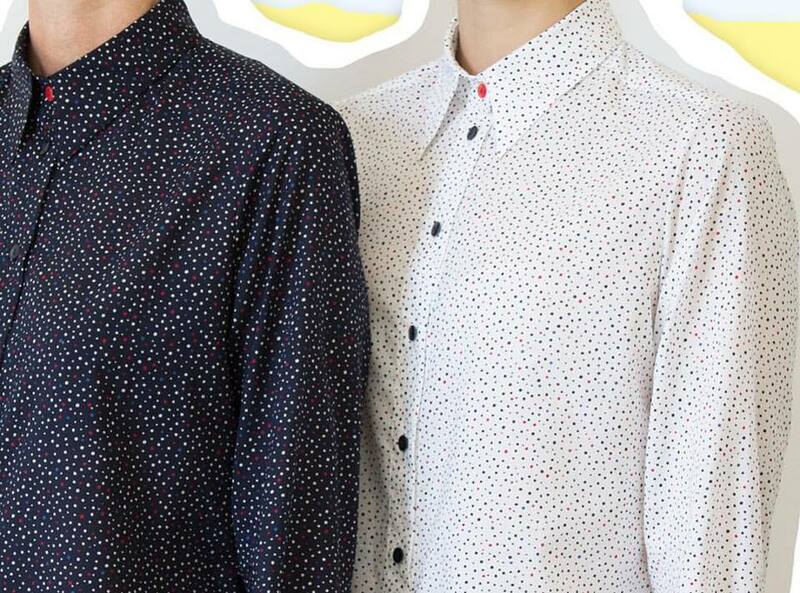 Two designers who used to be competitors, these women found they shared common values including a strong desire to make their customers feel great in beautiful clothes, made of quality fabrics, that fit properly, are functional, and are available in the right size and colour, plus abhorring the waste of the traditional fashion system. Enter Good Day Girl. Twice a year a collection is designed and clients can either order direct from the website or they can arrange a fitting session to try on the entire range and be fitted for their correct size. The collections are designed to work with previous seasons so clients can continually, and slowly, build a curated wardrobe that suits their lifestyle. The styling sessions are perfect for busy women who don't have much time to shop (sound familiar?! ), because after an hour and a half of personalised assistance you can place your order and know that you'll have pieces to suit your style, your body and your lifestyle. And because they only produce the exact number of pieces they have orders for, there is no waste or excess to be dealt with at sample sales, discount stores, charity shops, and (ultimately) the landfill. The catch? You don't take anything home on the day - we all have to wait until all orders are collected and then they will be produced (at an Ethical Clothing Australia-accredited factory, of course). Nothing like a little delayed gratification to make you love a piece of clothing even more, am I right? You have until 9 March to visit the shops in Sydney, Melbourne and (for the first time!) Perth to view the collection. If you're like me, you'll end up running your fingers over every delicious fabric sourced from Italy, Spain and Japan (and don't miss the incredible superfine merino scarves they stock from Love Merino and hand-knit jumpers by Daniel Chiel's Koko Global project - both destined to remain firmly in my radar). I'm already counting down the days until I see my new white shirt, but I wouldn't be surprised if I popped back in to order one of their stunning ponchos or their Chicago trench coat . . . so many beautiful, classic, well-made pieces. . .
Have you been to Good Day Girl? I'd love to hear your story! 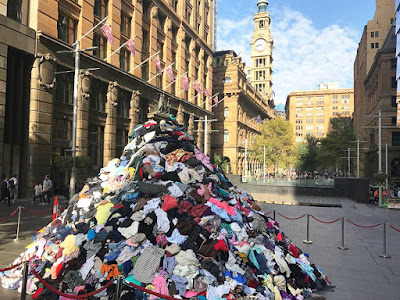 *In case you missed it last Friday, here's a picture from the giant pile of unwanted clothes dumped in Martin Place by ABC as part of their War on Waste program. 6000kgs to be exact - the equivalent of how much is thrown out by Australians every 10 minutes. Yes, you read that correctly, 6000kgs every 10 minutes. You're seriously considering a slow, zero-waste wardrobe now, aren't you?